The Placer United Grassroots Program gives children in our community the opportunity to be involved in a sport, provide them with the best possible learning environment, and teach teamwork and sportsmanship. This is the best option for young players because it parallels with the U.S. Soccer training program which emphasizes player development over winning. 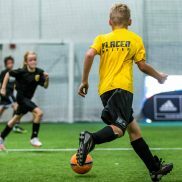 The Placer United Goalkeeping Program is a year-long age specific program for players ages 10-18, designed to develop key aspects of the game needed in order to be a successful goalkeeper. 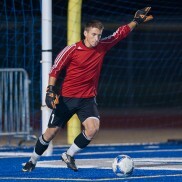 The Goalkeeper Program is taught by Coach Matt McDougall, a former indoor professional and collegiate all-conference player. Coach Matt holds a NSCAA Advanced National Diploma in addition to a NCSAA Level 3 Goalkeeping Diploma. 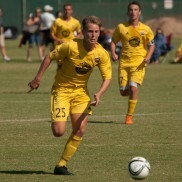 Placer United’s competitive soccer program provides opportunities for elite players to develop in the most challenging and competitive soccer environment possible. The technical, tactical, physical, and mental development of players are focal points of our competitive curriculum. The Academy is a partnership between U.S. Soccer and the top youth clubs around the country to provide the best youth players in the U.S. with an everyday environment designed to produce the next generation of world-class National Team players. The Academy’s programming philosophy is based on increased training, less total games and more competitive games.